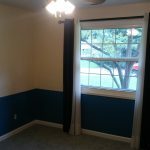 Do you need interior painting company in Kettering Ohio? 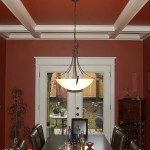 Kettering Maintenance Services offers several options for interior painting in Kettering Ohio and Dayton area wide. 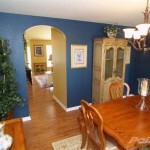 Interior home painting is a great way to add new color and life into any home. With a nearly limitless color palette we will aid in designing a color scheme hand tailored to suit the individual clients taste. We take great pride as a company in our interior painting and thoroughly enjoy the smiles of our clients when they see there newly painted home. Call Us Today 937-581-2732 for Interior Painting Kettering Ohio! Many times interior painting gets lost on the to do list after dealing with the burdens of day to day life. Let Kettering Maintenance Services change that turning your homes interior into a sanctuary, a place to escape after a long day working or snowy winters day. 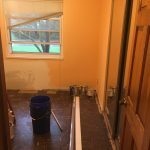 With a prompt and expedient interior painting service we can quickly change an interior prior to a short notice up coming event or holiday party. Leaving your guest impressed and wondering why they haven’t painted recently. 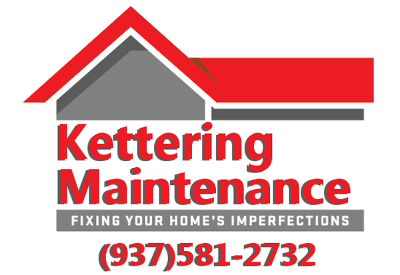 Kettering Maintenance Services offers a full line of home repair, home improvement, lawn and garden, handyman services and rental painting in Kettering Ohio and Dayton area wide. Call Us Today 937-581-2732 for Interior Painting in Kettering Ohio! New drywall, interior painting start to finish. 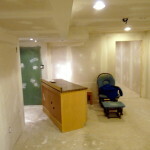 When another contractor skipped out on our client we stepped in to do the save the basement remodel. Getting it ready to paint and installing the other features. 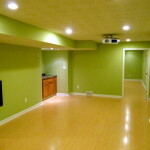 Custom interior painting in Oakwood, Ohio. 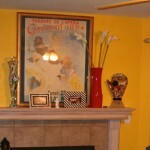 We did not get the before pictures of the spaces, but the after paint pictures speak for themselves. Very happy client! Adding a new interior color to each room adds interest to the eye and can really make your home furnishings pop. 2 tone room paints or accent walls can bring a new level of style to any room. Almost anything is possible with some creativity. Few photos of a boys room we painted 2 tone at the chair rail height for a family here in Kettering.